Strolling along the alley formed by the Corn Market (George's Hall) and The Famous (formerly Pinder and Tuckwell), many will not know that they are following the line of the ancient Milk Street. This little alley led from the busy shops of Fore Street, to the teeming West Quarter. Linking the top of Fore Street with George Street, it was formerly the haunt of the city's milk sellers, who also had cowsheds there, while at the end of the street, at right angles, could be found the famous Butchers Row, a place of open air slaughter, and cobbles covered in dung and swilling in blood. Milk Street as a name was first recorded in the time of Henry II, 1154-1189. 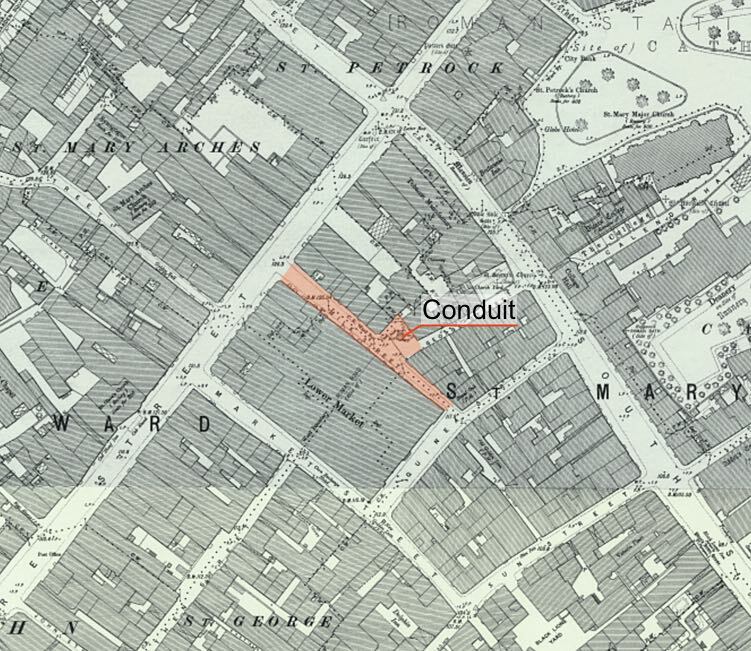 After the construction of the Lower Market and loss of the top of Butchers Row, in the 1830s, Milk Street led to Guinea Street, which formed the top of a T. In the small square formed at the junction of Milk Street and George Street, in the 1905 map, was placed a stone obelisk that served as a water conduit; it replaced the old public water supply that was positioned in South Street, in front of the College of Vicars Annuellers. Here, locals would line up with their buckets, jugs and pans, as water, from St Sidwells would trickle from the spout. Click over image to load. A School of Art was founded in 1854 in Milk Street. It was a result of the interest in the arts created by the Great Exhibition of 1851. 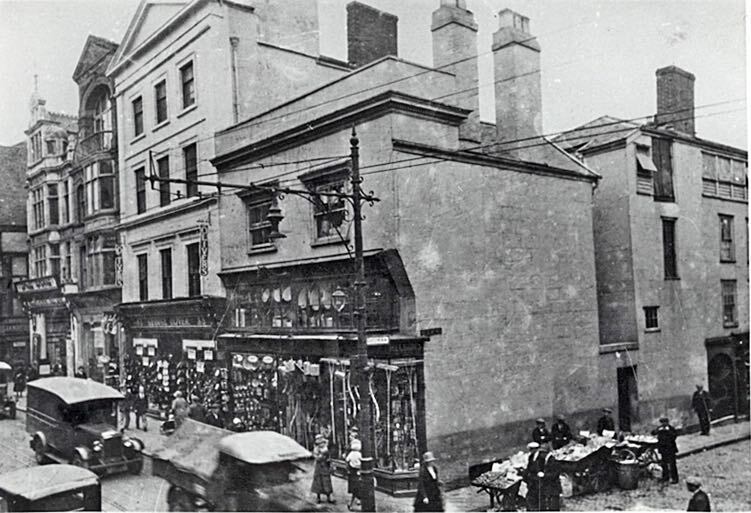 The plans for a new museum in Queen Street included the School of Art, which moved into the new establishment in 1870. 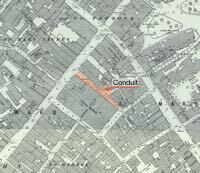 Milk street, Fore street to Guinea street. 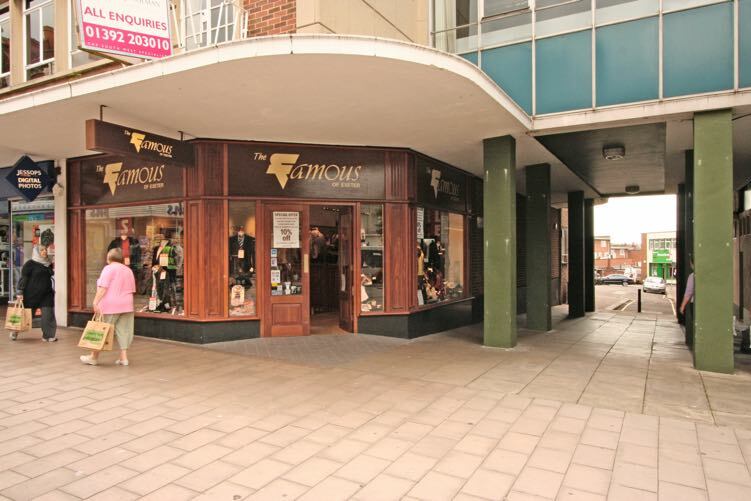 Endicott's, the army surplus store in New Bridge Street was originally opened by Lennox Endicott, in Milk Street during 1937. 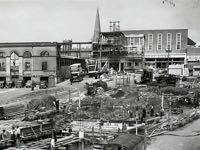 In May 1942 the bombing of the top of Fore Street and South Street saw all the buildings in Milk Street destroyed, including the Lower Market. When the ruins of Milk Street were cleared, the remains of No 8 were found to date from 1320. It had been a simple building, two storeys high, with a cellar. All that remained of the timber frame and volcanic stone building, were the solid walls. Another tragic loss caused by the blitz. 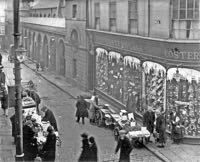 The rebuilding after the war saw the street reduced to the narrow alley next to George's Market we see today–the parking area is an extension of George Street. The market hall was closed by the city council in 2005 and was reopened in a £1.8 million refit as FoodeaZe, an in season, food market in late 2006. The smell when you walked in of fresh produce and ham, cheese and bread was very welcoming. It was hidden away, but worth a visit. 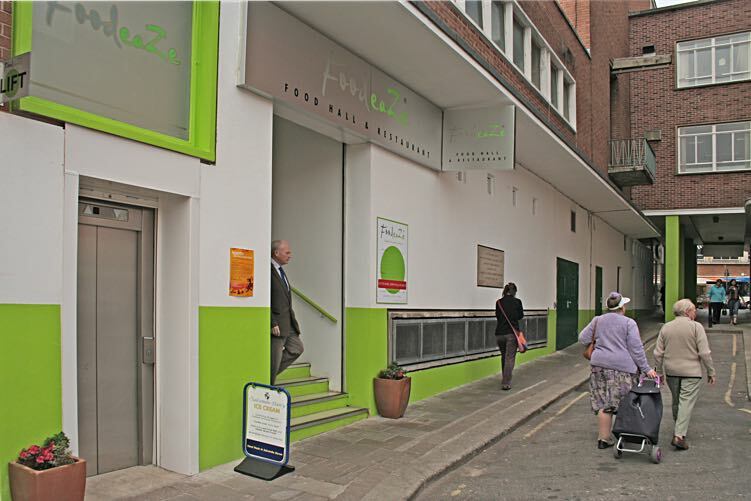 The location and the opening of the first stage of the new Princesshay development meant a lower than expected trade, and FoodeaZe went into administration in May 2007. George's reverted to its original name of the Corn Exchange in 2007. "There was another character when I was a diddy going to school; I think he was a tramp, a roadster and his second home was in the police station. His mode of getting in there was smashing the glass windows in the public toilets that were in Milk Street. They'd put him in there for a week then he'd come out and have a couple of jugs of cider and smash another one just to get put back inside. In the end they got so used to him they just took him for granted. It was his way of getting a bed and a meal. Most Saturday afternoons you could see an exhibition by a fellow that went under the name of Ginger the Sword Swallower. This took place exactly outside the toilets in Milk Street." Sources: Exeter College website, People Talking edited by Jenny Lloyd, Kellys Directory 1897, Express and Echo, Two Thousand Years in Exeter by Prof,, W G Hoskins and the British Newspaper Archive. Milk Street, right, was on the north side of the Lower Market. 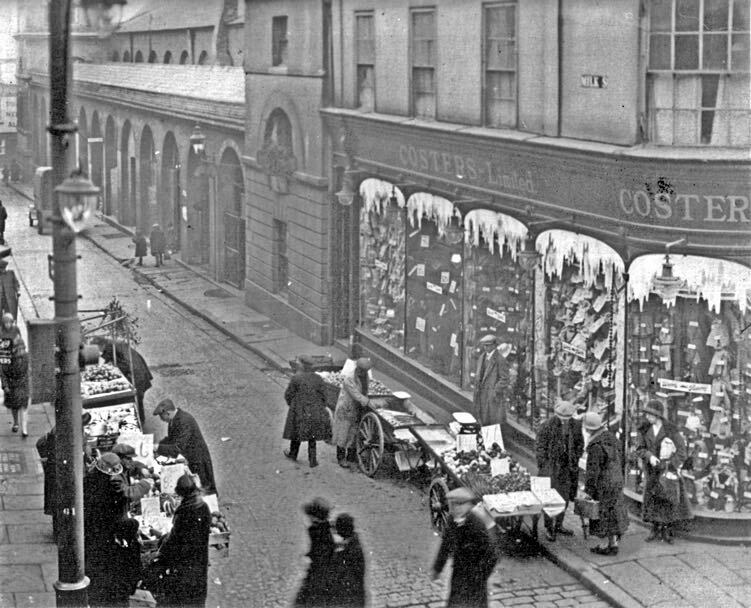 Milk Street at Christmas, with the Lower Market in the background. 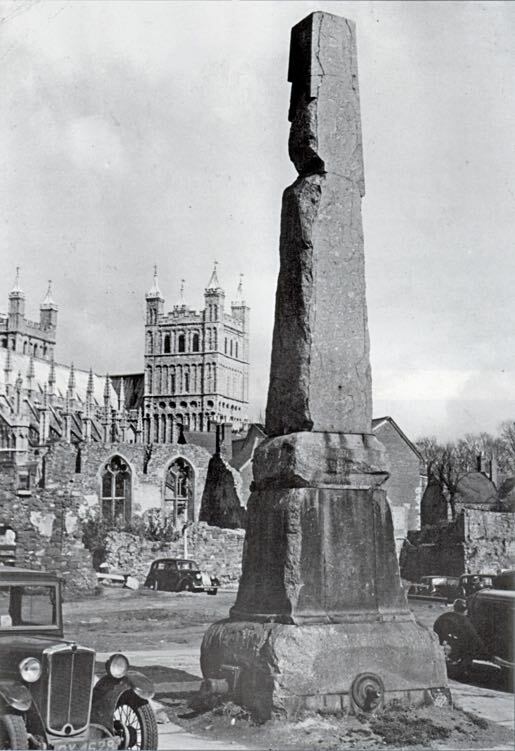 The Milk Street conduit was this obelisk, which was removed after the 1942 bombing. 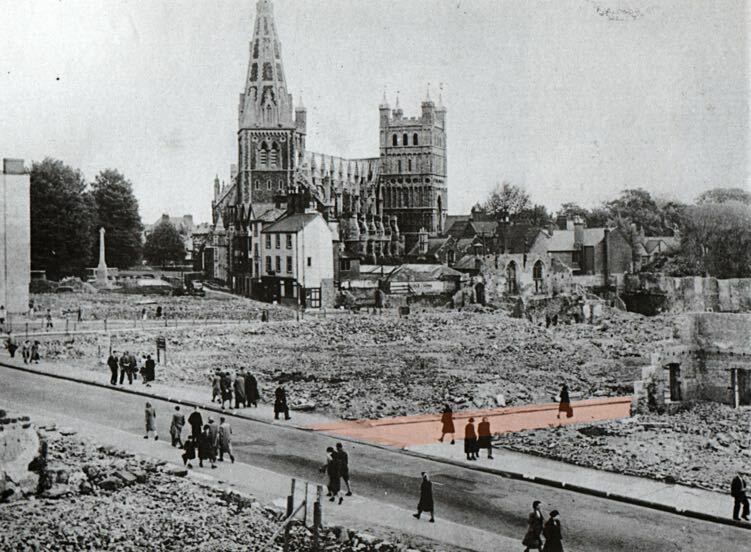 The remains of Milk Street after the blitz. 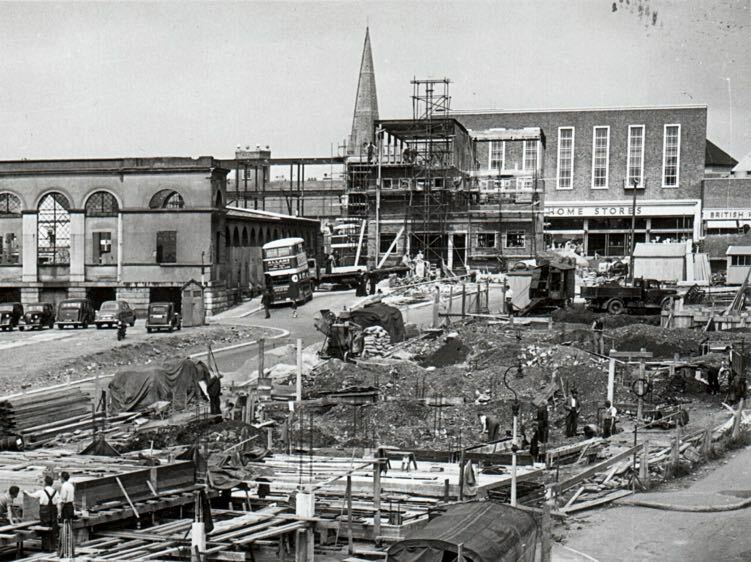 The bus is parked next to the Lower Market, in Milk Street, while reconstruction of South Street takes place. The alley is still named Milk Street with the entrance to FoodeaZe. The top of the open car parking, right, is approximately where the water conduit was positioned. The modern entrance to Milk Street.